Just add boiling water. Time: 6 minutes. Allow approximately 80g of couscous per 180g cooked serving. 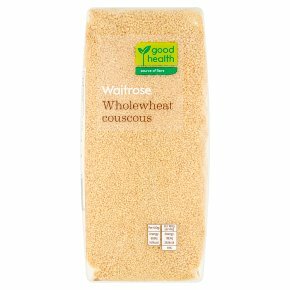 For 2 servings place 160g of wholewheat couscous into a large bowl. Add 200ml of boiling water and mix well. Cover and allow to absorb for 6 minutes. Fluff with a fork and serve immediately.